Characteristics that Dusan has exhibited in direct contact and communication with me are, first of all: high introspectiveness, as well as explicit analytical-synthetic conclusion, which contributes to good conclusions from the domain of social relations. He is distinguished by a high level of empathy, composure, with ability that he clearly recognizes difficulties, both to himself and to others. He is able to successfully transfer knowledge and experience that he gained to other people in the form of support and better understanding of himself and the other people. He is capable of critical thinking, regardless of traditionalism or sentimentality that he possess. He is prepared to consider all of the alternatives, with following his stand about good or bad. He will give priority to reason and faith that human society can be improved by education, innovations and cooperation. in Belgrade, 18th of May, 2018. Aleksandra has graduated at the Faculty of Organizational Sciences of University of Belgrade. She has a wide range of knowledge in the field of humanistic sciences. She is an educated Therapist counselor in Epistemological therapy and Theta healing practitioner (University of Knowledge, USA). 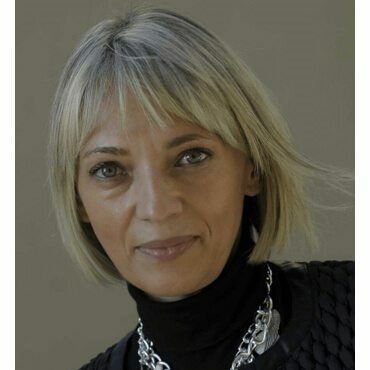 Aleksandra Jovic has rich experience in management in a state health system, human resources, and consultation work. Her interest goes to psychology, psychotherapy, philosophy. She is doing research in holistic way of life and alternative way of healing health problems. In free time she practices fitness and Sun Yoga.